How to save money on Amazon. 14 tips that will save you money! We have 14 money saving secrets to help you learn how to save money on Amazon. Amazon is a great resource to save time and money once you know the best ways to save money on Amazon. 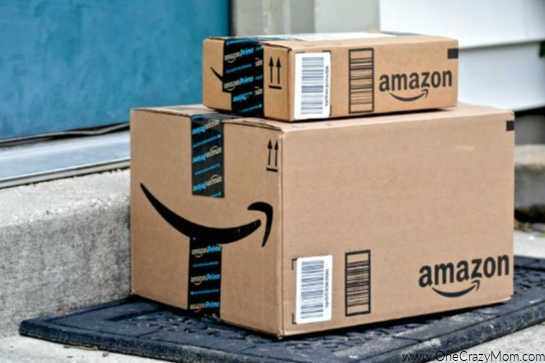 Learn how to save money on Amazon with these tips. Not only is shopping on Amazon convenient but it saves money too. 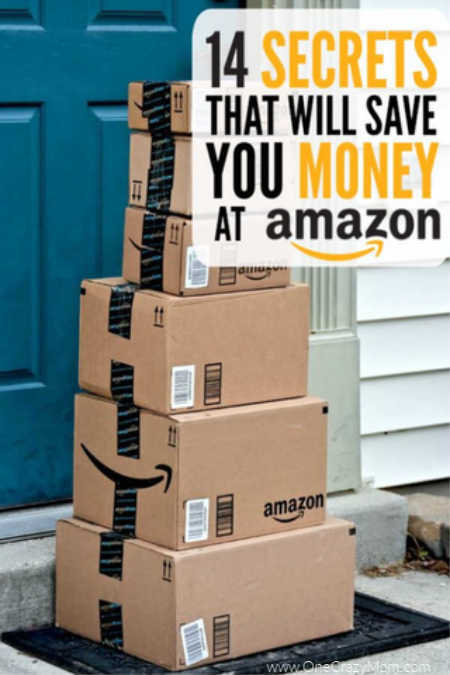 You will love shopping on Amazon even more after learning how to save money on amazon with these easy tips. Amazon shoppers can score deep discounts with all of the great deals Amazon offers. What is the best way to save money on amazon? Amazon is a great place to shop and there are so many ways to save even more. From subscribe and save and Amazon family to lightning deals and more, there are great options to save! One of my favorite perks is the free two day shipping on amazon purchases for Amazon prime members. Shopping on Amazon is such a good deal. How do I save on items on Amazon? Take a look at some of these ideas and see what works best for you and your family. There are so many ways to save money and they all add up for some major savings. How do I save money on Amazon pantry? Amazon Pantry is another way to save time and money on groceries and household items. This service is available to Amazon Prime members and allows you to shop for groceries and household items at a discount. Learn how to use Amazon Prime Pantry to save time and money. Use the secrets below to learn how to save money on Amazon. If you know where to look, though, you can save even more! Amazon is a thrifty mom or dad’s dream – you can get some incredible deals without even trying all that hard. Depending how much you shop on Amazon, joining Prime might be the right move. For $119 a year (that’s just $9.92 a month), you get lots of perks including free 2-day shipping on everything (or faster, depending where you live). Plus, you get lots of content (books, magazines) for free on your Kindle or e-reader. Not ready to commit? Sign up here for a FREE 30-day trial! There are no strings attached. You can start your trial membership today and get all of the great deals tomorrow. You can also sign up for a month if you do not want to buy an entire year. They have several options to suit everyone. 2. Get connected on how to save money on Amazon. Regardless of your preferred method of digital communication, make sure you’re in the know about daily deals (including Deals of the Day and Lightning Deals – more on those shortly). You can sign up to receive daily emails, “Like” Amazon on Facebook, follow them on Twitter, or install the app on your smart phone. Save money on amazon app by keeping up to date with all the daily deals. 3. Deals of the Day. Each day, Amazon offers several items at pretty significant discounts (typically anywhere from 30-70% off!). Take a peek each day to see if there is something that you just can’t live without! These deals are available for a limited time on a limited number of items. Since there is both a time limit and a quantity limit, don’t delay if you really want an item. Once you see the price drop, it is best to go ahead and get the item you are interested in. 5. Sign up for Swagbucks. By taking surveys and watching videos online, you can earn Amazon gift cards to use on anything you want – score! Warehouse deals. There are lots of items you can pick up that are in perfect condition, but the packaging is compromised. Since Amazon can no longer sell these items for full price, you get the benefit! The posting will tell you whether the item is damaged or whether it’s simply no longer in the original packaging. 6. Sign up for an Amazon.com Store Card. This is a credit card, but depending on your spending habits, you could save some money. You’ll get a $10 Amazon gift card once your credit application is approved, and promotional financing is available for tiered purchase amounts starting at $149. If you’re a Prime member, you get 5% back as a statement credit on your purchases, too. You will love earning cash back once you sign up for the Amazon card. Several credit card companies have a partnership with Amazon allowing you to use your points to shop. With a Prime membership you have a ton you can read for free. Even without Prime, though, you will find a decent selection of free e-books available for download on most any device (not just a Kindle!). Most online retailers don’t give you the option to use coupons, but Amazon does! Their coupons are for practical things you probably already buy, so check them out before you place your order. Just like outlet malls, Amazon has outlet shopping with deep discounts. Many of the electronics are pre-owned, but lots of items like jewelry and beauty products are simply close-outs. You can sign up to become an individual seller and only pay a small fee if your item sells. This is a great way to unload textbooks! Amazon has a trade-in option for music, DVDs, electronics, and other items; you’ll get Amazon gift cards in return that you can use on your next purchase. With a Prime membership, you also have free access to Amazon Family. You’ll save up to 20% on diapers, baby food and more. Plus, get exclusive deals and coupons on baby and kid stuff. We also love subscribe and save because you save even more on items. You’re able to start purchasing daily deals 30 minutes before the general public. This will save you money on some of the best deals. Those are my top secrets to saving money on amazon! I bet you will be surprised at how much time and money you can save by trying several of these tips. E-commerce has made parents’ lives easier, and if you follow these simple tricks, you’ll save a ton of money, too! 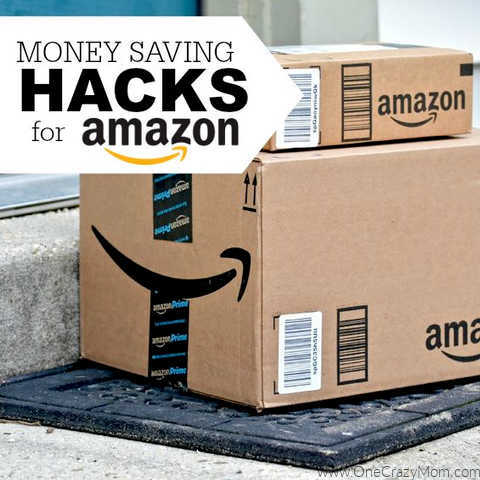 What other ways to save money on Amazon have you found? Learn how to save money at Hobby Lobby! Love that store! Also, Dollar Tree is such a fun store to shop at. We have 10 Dollar Tree hacks to save you lots of money at Dollar Tree. Learn the Best place to sell clothes online. Get started making extra cash! Learn how to make the Best Homemade Laundry Detergent. You will be shocked that you can make this for only $20 for an entire year of laundry! Learn how to save money at Hobby Lobby. Try these 12 secrets to save big at Hobby Lobby.